There's a right way to go about finding a home on the North Shore, and there's a wrong way. Unfortunately, most people go about it the wrong way, putting the proverbial cart before the horse. And sometimes they make a home purchase decision they live to regret. 1. Surf real estate web sites looking at houses for sale anywhere in the general vicinity of where you want to live. 2. Get in the car and drive around the North Shore willy-nilly, visiting Sunday open houses. 3. Walk into a house and fall in love with the shiny new appliances and Pottery Barn decor. And then buy the house, without doing enough due diligence on the community and the location of the home. The house is in a flood plain and the yard has several inches of standing water every time it rains. The street that seemed so quiet on Sunday afternoon sounds like a super highway during morning and afternoon rush hour. The village ordinances won't permit an addition on the back of the house and now you are stuck with no family room. The elementary school your kids will attend is not the one right down the street but the one on the other side of the expressway. The commute to work is much longer than you realized. You just don't feel comfortable in your surroundings. There's an easy way to avoid those kind of home buying disasters, and that is to do things in the right order, like picking the community first, and the house second. Now, I'm not saying there's anything wrong with going to open houses. It can be a fun way to spend a Sunday afternoon and a good way to get a feeling for the kinds of houses you like or don't like. All I'm saying is that it should be done strategically: focused on houses in the specific neighborhoods you want to live in and in the price range you can afford. Rather than look at houses first, we always advise our clients to start their search by getting to know the various communities and what each has to offer. They can then narrow down the search to the best potential neighborhoods before getting too attached to any particular house. 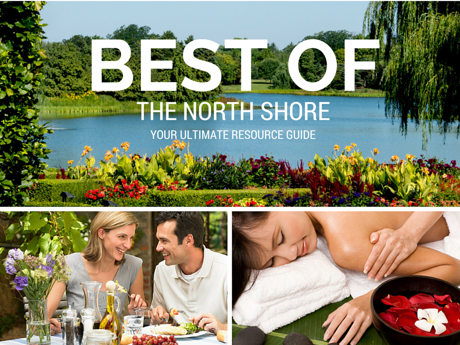 What each North Shore community has to offer and what makes each unique. What types of homes you'll find in each neighborhood, how big the houses and lots are and what the people are doing. Home values and how much house your budget will buy in each community. Where the schools, shopping, recreation and amenities are and whether you can easily walk to town or Starbucks. Distance to work and availability of mass transit. 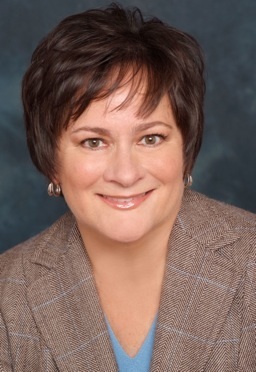 And, as your Realtors, we'll get a really good feel for the communities that seem to float your boat. We'll listen carefully to your reactions as we're driving around and we'll ask a lot of questions tnat will help us zero in on the neighborhoods that have what you're looking for. We'll discuss the trade-offs you may have to make between location, price, size of house and other factors, because there are always trade-offs when buying a house. Now we can go find you the right house within those communities or neighborhoods. You'll be armed with the knowledge you need to make the best home purchase decision for your own personal goals and lifestyle. Take our word for it – you'll be much happier with the result. 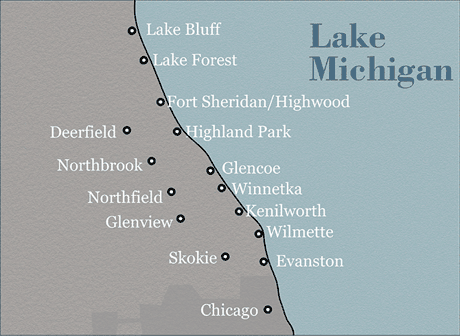 If you'd like to schedule a Tour of the Shore or a home buyer consultation, just send us a note here or call Anne West at 847-687-5957.